Throughout recorded history, mankind has populated at a rapid rate, and areas once rich in mineral wealth or fertile soils eventually become barren, forcing residents to adapt, or leave for greener pastures. This has led to towns and villages remaining intact but empty - standing as an eerie testament to forgotten civilizations and populations. This lush area, filled with flower blooms, hills, and olive groves, was once owned by a Benedictine abbey in the early 11th century. 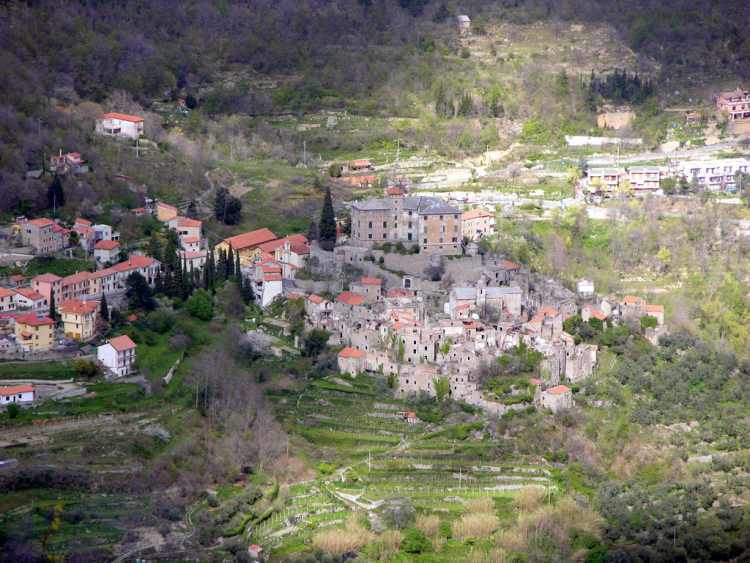 It was a picturesque little settlement that grew into a beautiful town. However, seismic activity in the 1800s disrupted the residents’ lives and forced them to move on, leaving behind a relic of medieval and modern life. Quakes in the area are still fairly common, and though the city still stands, no one is certain how much longer it will be around. The abandoned city on the Yashima mountain plateau stands on a site of historical importance, as it was the site of the Genpei War that took place in March, 1185. During the 1980s six hotels were built, along with several parks and trails, as well as an aquarium, in an attempt by residents to try and create more tourism in the region. Regrettably, interest in visiting the mountain plateau didn’t increase, so the hotels, shops, and cableway, eventually shut down, causing the city on the plateau to became desolate one more. However, you can still visit the Yashima temple, which is one of the numerous temple and shrine stops for those undertaking the Shikoku pilgrimage. Before becoming a well-known ghost town, Bodie was a thriving mining community during the 1800s, with a whopping 60 saloons, a small Chinatown, and around 10,000 inhabitants. However, when the mines ran dry, people had to move on and find new work, and one by one the families left. In 1962, the town was renamed as Bodie State Historic Park when the very last family moved out, and those who visit, will find that the houses, though decaying, still contain selective goods and produce from the original residents. 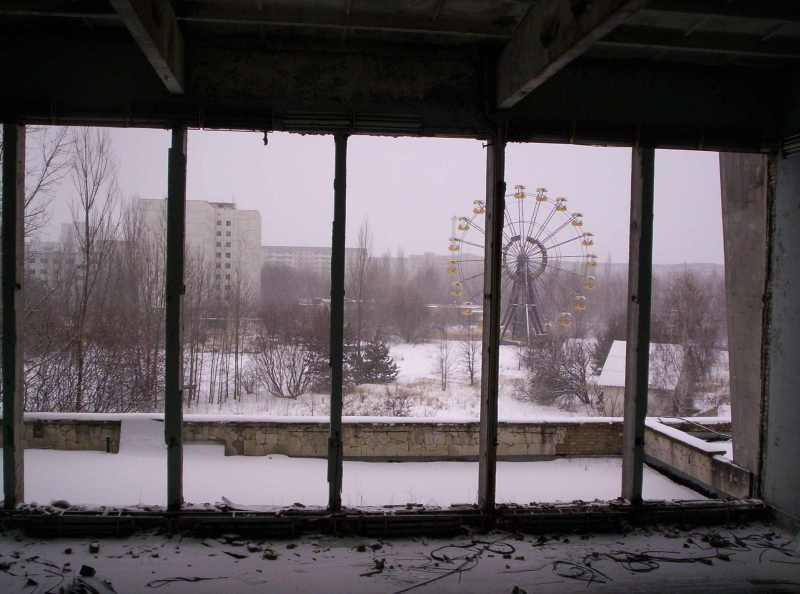 Situated close to the border of Belarus, Pripyat was once a city that housed not only a fairly well-off population, but also the majority of the Chernobyl Nuclear Power Plant workers. As most of us know, Chernobyl had a melt-down in 1986, and this city was evacuated because of the nuclear fallout threat. Even now, 25 years later, the radiation levels in the area make habitation of the city impossible, though that hasn’t stopped looters from stealing everything not bolted down – toilet seats included. A prosperous diamond mining town quickly turned into a ghost town when the diamonds in the area ran dry shortly after the First World War. If you’re keen to see it, it’s only a short drive away from the port, Lüderitz, and is cooperatively run by Namibia-DeBeers. Fairly different to the other ghost towns, the shifting desert conditions mean your tour will take you past half-buried houses and shops, giving you a glimpse of entropy at work. Author Bio: Rose McBain has a love of the outdoors, having braai’s with friends, and travel. She is a writer for TravelGround, a Marloth Park self-service booking and accommodation website.